The future direction of the Chicago Public Schools system hangs in the balance as the wide-open race for Chicago mayor plays out. Thursday, the Chicago Teachers Union announced its support of Cook County Board President Toni Preckwinkle for mayor as all of the candidates stake out positions on the controversial topic of moving to an elected Chicago school board. In its endorsement, the CTU noted that the mayor will have to negotiate labor contracts with it, and it will hold Preckwinkle accountable. She received the endorsement largely on the basis of her support for a moratorium on school closings and new charter schools, and her support of moving from the current school board – which is appointed by the mayor – to a fully elected one. Preckwinkle says that’s the best way to ensure equity across the school system. 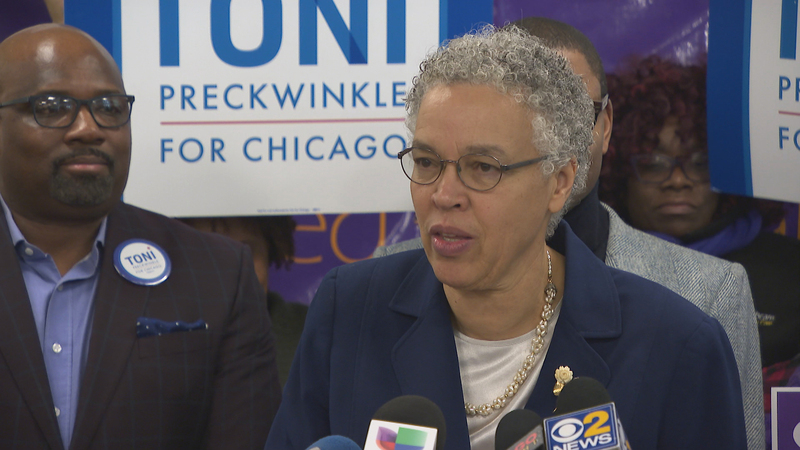 Preckwinkle joins a list of notables in this race who also have publicly supported an elected school board: Willie Wilson, Lori Lightfoot and Susana Mendoza. Three others, Paul Vallas, Garry McCarthy and Gery Chico are on record supporting a hybrid board in which some members are elected and others appointed by the mayor. Bill Daley has yet to stake out a formal position on the topic. However, Chicago’s mayor cannot unilaterally decide to change the system. It would have to be changed through legislation passed in Springfield and approved by the governor. A bill to do just that has overwhelmingly passed the House and has good odds now of becoming reality, as Gov.-elect J.B. Pritzker has publicly supported it. The bill would create 20 zones in Chicago, each to elect a representative to the school board. The bill’s sponsor says the large size of the board would hopefully dilute the power of special interests like the CTU, charter schools, school contracting companies and other entities dominating these races. “With 20 districts across the city, you’ll increase the grassroots organizing and involvement, and you’ll limit the influence of outside special interests,” said state Rep. Robert Martwick (D-Chicago). Preckwinkle also secured the endorsement Thursday of two other public employee unions: SEIU Healthcare and SEIU Local 73.